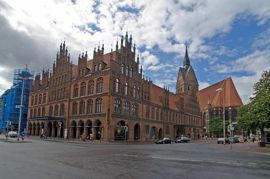 Hanover is one of the most popular German cities and it welcomes tourists of different ages and interests. Those who are interested in having fun and playing games can definitely find some brilliant destinations here, too. They simply need to hire a minibus with a driver in Hanover and tell the address. So, if fun and games are what you crave for in Hanover, you are welcome to ROOM - Running Out Of Minute. This is one of the most popular live escape games not only in Hanover but also in entire Germany. 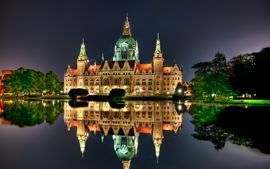 Other wonderful destinations include TeamEscape Hannover, ASTOR Grand Cinema, GOP Variete Theater Hannover and others. Anyway, once in Hanover, you can't but visit such important and impressive landmarks as Monument to Ernest Augustus, Monument Gottingen Sieben, Leibnizhaus, Laveshaus, and others. When a client is thinking about renting a vehicle in a foreign country, there is a series of factors that he must consider. 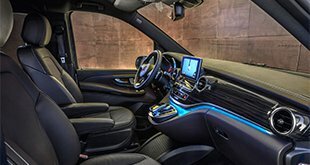 These include the reputation of the service, the prices it sets, as well as the experience of drivers. Choosing 8Rental as your guide in Hanover, you are making the right decision. This is a car rental service which is approved and respected all over Europe. Operating in the sphere of passenger transportation for many years, we have managed to serve thousands of customers from different European countries. All of them were greatly satisfied with our services as they always come back to us when they need rental services. We believe that now it's your turn to rent a van with a driver in Hanover and enjoy comfortable driving all around the city. All that you need to do is to get a quote, complete it with relevant data and send it to us. You will have the minibus ordered meeting you right at the Hannover Airport or any railway station of the city. 8Rental is available 24/7 and welcomes all clients who need reliable transportation in Hanover. We shall provide you with premium vehicles, acknowledged drivers, offer included fuel and insurance. We shall take all the fees and taxes under our responsibility. However, besides all these amenities, there are also optional ones. You can order a TV, a fridge, or a minibar in the vehicle. Surely this will cost additional charge, yet it is definitely worth if there are kids or teenagers in your group of travelers. Hire a chauffeured minivan in Hanover and enjoy high-end services! 8Rental car and driver supplier has a staff of drivers all of whom are real experts. 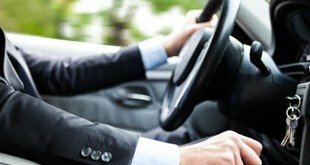 Our expert chauffeurs, who are well aware of all the sights of the city, as well as its roads, will easily take the right direction and drive you to your destination. A mere license is far not enough for 8Rental to employ a driver. Long years of practice in the field, a high sense of responsibility and reliability are mandatory. These are those criteria our clients anticipate from us and which we guarantee to provide. Hiring a van from 8Rental, you can expect a professional, always sober and good-natured driver, who is ready to have his contribution on your perfect journey in Hanover! By the way, besides German speaking drivers, we can send you those who master English, French, Italian, Russian and other languages. Apply to use beforehand and enjoy a royal driving in Hanover!